Many kids want to go to Gifted Program. When you apply for Gifted Program for your child, there are some sample questions and answers you could take a look at below and get an idea. You can, according to these "guidelines" help to explain your child’s abilities. 2. Describe if your child acquires and retains information quickly? Explain. Your answer should be confirmative. Tell them how your child learns information quickly. a) Your child recites facts (to acquire and retain information) either through notes or verbal recitation. b) Your child can imagine something in his/her head when recitation may not be the best course of action. c) Your child makes sure he/she retains information by trying to explain it to himself/herself and/or others. d) Your child can remember information quickly by associating the new information with information that he/she has already learned. e) Your child frequently reviews his/her book/notes so that he will not forget the information that he has learned. 3. Does your child design, create, or develop projects without adult direction or assistance? Please describe. A copy or photograph of such products may be sent to include in the letter-sized profile folder. Of course, you’ll need to say yes. I give you two links as a reference, but I can’t really help you since I have already forgotten what level fourth graders show in their projects. 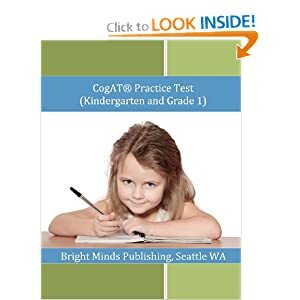 Some advice would be to find an actual project that your child did (that is similar to those on the website) and describe the process of your child doing it. Tell your child that in order to find the materials needed to write the report, he/she should Google using the key terms and examine all the results very closely, comparing information to confirm its authencity. Finally, you can create your report. 4. Does you child show insight or the ability to solve problems in everyday situations? Please give examples. Follows are the steps to solving a problem. You can choose your own problem and then apply the following methodology to solve it. Step 1: Determine what information is given in the problem and what you need to find. Step 2: After you understand the problem, select a strategy for solving it. Step 3: Solve the problem by carrying out your plan. Step 4: Finally, examine your answer carefully. See if it fits the facts given in the problem. 5. Please share any other information that helps in deciding your child's learning characteristics. For example: Did your child show advanced development in some area at an early age? (What? when?) Does your child display behaviors that seem advanced compared to his/her peers? Here, you should introduce and describe some of the academic and behavioral strengths of your child. Then, you can discuss why your child likes academic challenges. 3)such academic challenges are highly motivational. By the way, as far as I heard, formerly when testing for gifted program, parents would also need to be tested. But this is no longer true. Also, some more comments for the gifted program: if the kid is not suitable or ready for it, you don't need to push too hard. 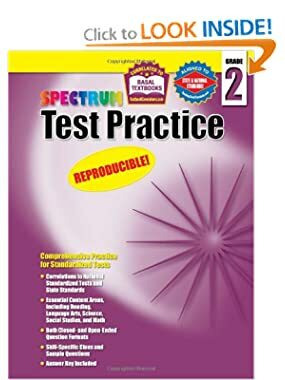 Maybe wait for another year to take the test would be good enough. Thanks, this gifted and talented examples is very helpful. 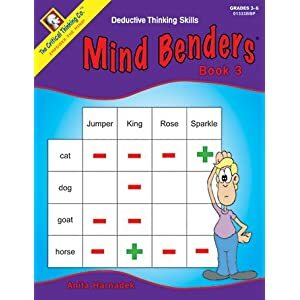 I think some brainteaser games/questions could be good as training or sample questions for elementary gifted programs, right? I think so! 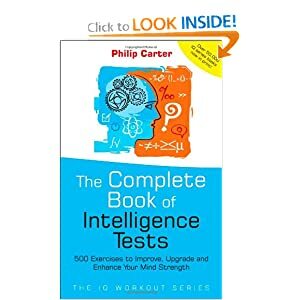 We always buy some good brainteaser games and books when they are on sale. And my kids love them. Some good games you might be interested are the ThinkFun Games. 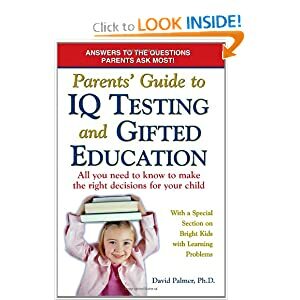 If you have a Kindle at home, you might be interested in the Parents Guide to Gifted Education (kindle version). It is cheaper than the printed book. The Kindle version sells for $9.99 while the book sells for $15.95. 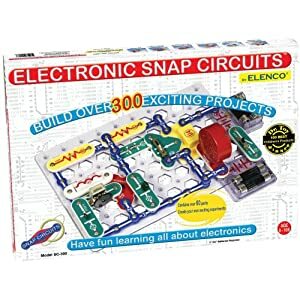 Here is another educational toy that is VERY good for your kid, the Snap Circuits SC-300. It sells for $64.99 but currently on sale for only $30.33. A must-have to teach the inner-workings of electronic circuit boards. 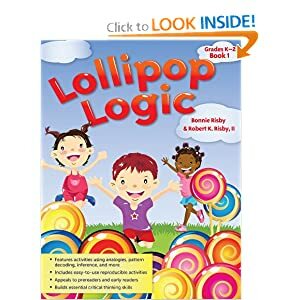 CRITICAL THINKING ACTIVITIES IN PATTERNS, IMAGERY, AND LOGIC GRADES K-3. 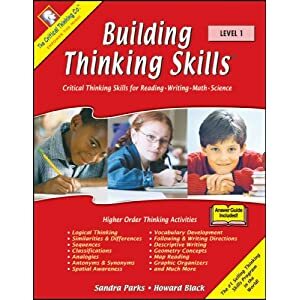 These books present activities to help students develop their thinking and problem-solving skills using strategies that can help solve non-routine math problems. Students will use more than one strategy to arrive at a solution, and some of these strategies require that students use skills such as thinking visually, recognizing patterns, using logical reasoning, and doing organized counting—all of which are elements of critical thinking in mathematics. 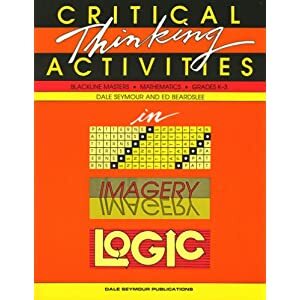 Critical Thinking Activities can be used as a supplement to an existing math curriculum to introduce, reinforce, and elaborate on specific critical thinking skills. The pages are designed to be reproduced for students to use as individual worksheets or problem cards. 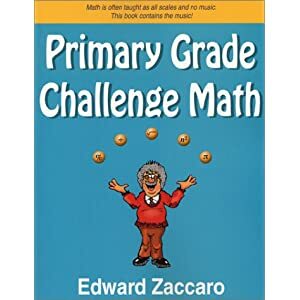 Includes chapters on: Sequences, Problem-solving, Money, Percents, Algebraic Thinking, Negative Numbers, Logic, Ratios, Probability, Measurements, Fractions, Division.